Lots of businesses are using Facebook now. But many of them aren’t maxing out its potential. Often, companies omit the most basic information about who they are, what they do, and where customers can find them. You’ve set up your Facebook page – congratulations! Before you start inviting people to like the page, make sure you’ve included all the most important information in your profile. Giving your page a vanity URL is easy if you have a mobile phone you’re willing to connect to the page. The second line under the Page Info tab is your page address. This is where you specify what you’d like the Facebook.com subdomain to be. If you can use your full company name, do so. Click on “Enter a Facebook web address.” It will prompt you to verify this by entering a mobile phone number. Follow the instructions and enter the code when prompted after receiving it on your phone. Your short description is what shows up on the very front when someone accesses your page. Keep it short and punchy. And don’t forget to include your website address at the end so people know exactly how to find your company site. The long description is where you can get a little more in-depth with your business’s information. The Products option lets you list your unique services or products in a dedicated section. 3. Where can your customers find you? If you’re under the category of Local Business, you probably rely on customers who enter your door to buy something from you or to engage with you. Enter your business’s physical address, not a PO Box, so a map of your location shows up on your Facebook page. If you’re not a local business, this doesn’t matter as much as a Web address does. 4. What do you look like? Your page’s profile picture and cover picture are key. Those are the first things people see when they access your page. If the images are drab, askew, pixellated, or warped, folks won’t be impressed. Think about how you feel when you visit a Facebook page and everything is messy or garish. First impressions last! Give your fans something that’ll wow them. Choose something that represents you and looks great, and be sure you own the rights to the images you use. To upload a cover photo, hover your cursor over the larger area. “Change Cover” should pop up. Click on that to upload a picture. 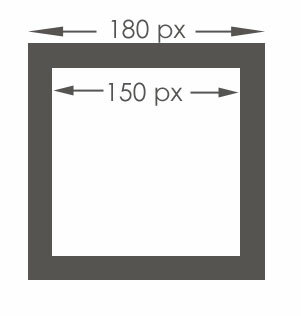 The recommended dimensions are 851 by 315 pixels. Any less, and the picture stretches out of shape and looks bad. Any more, and the picture gets cropped. The next picture you upload is the profile picture. Hover your cursor over the square box, and the words “Edit Profile Picture” should appear. This one’s a little trickier to master. This way when you upload your picture to Facebook it will fit nicely. If you do not have the ability to create images, hire a graphic designer or find someone who is proficient with Photoshop to help. Because nothing screams “amateur” like a shoddy profile picture or cover photo. There are companies that specialize in creating great cover photos for businesses that you can find just by doing a search online. For some examples of really good Facebook cover photos, click here to see what inspires you. This final element of what makes a great solid Facebook page profile is ongoing. Your statuses are your customers’ and fans’ window into what you do. So before you start promoting your page, get active on it by updating your status. That doesn’t mean telling us what you had for lunch, or repeating “Our services are the best” over and over. It means telling your story, helping customers get to know who you are and what you stand for. If you spend a week or so adding profile updates before you promote your site, when someone accesses your page for the first time, they’ll immediately see activity there and learn something about what you do, before they click through to find out more about your business. Your content exists to remind your fans and customers that you exist, and why they need to work with you or come back in to see you again and again. Use Facebook to run contests and offer incentives, share news items that are relevant to your industry, and congratulate colleagues on professional milestones. Engage in conversation with your clients, and most of all, make use of this free platform to really connect with your community and customers. Tabitha Ong Tune is Chief Tactician at À La Mode, a company specializing in social media and marketing for small business. Follow her on Twitter at @alamodemedia.